Using the 'Hanger' button to change skins causes some devices to crash. 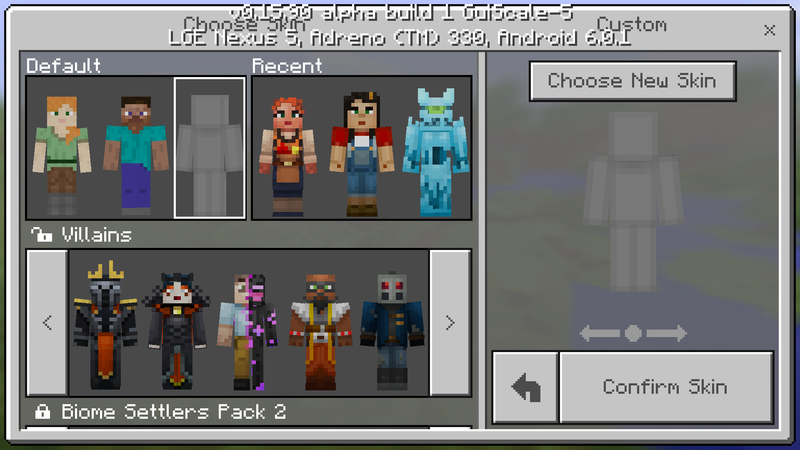 To see the "Choose New Skin" button to select a custom skin, the player must first tap on the grey space to the right of the Alex and Steve models. On some devices, that space shows a solid grey model (making this step more obvious) like this. But on some devices, that model does not appear, like this. I expected that the blank grey model would always appear or the "Choose New Skin" would always appear. 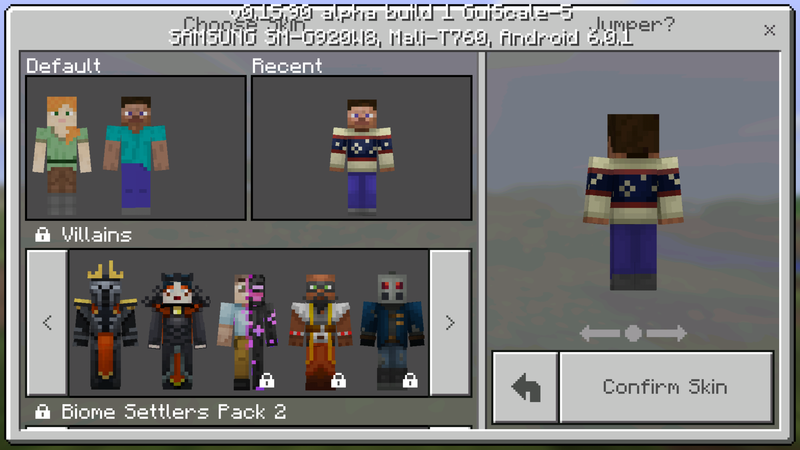 MCPE-17027 Can't Import Custom skins. MCPE-18965 In Minecraft Pe every time I try to change my character my game crashes and kicks me out of app.